Military service is a time-honored tradition that has affected the lives of the majority of Americans in some way or another. You probably never considered, however, that many celebrities also spent some time in the armed forces before they became famous. Here are a few you probably never knew about. 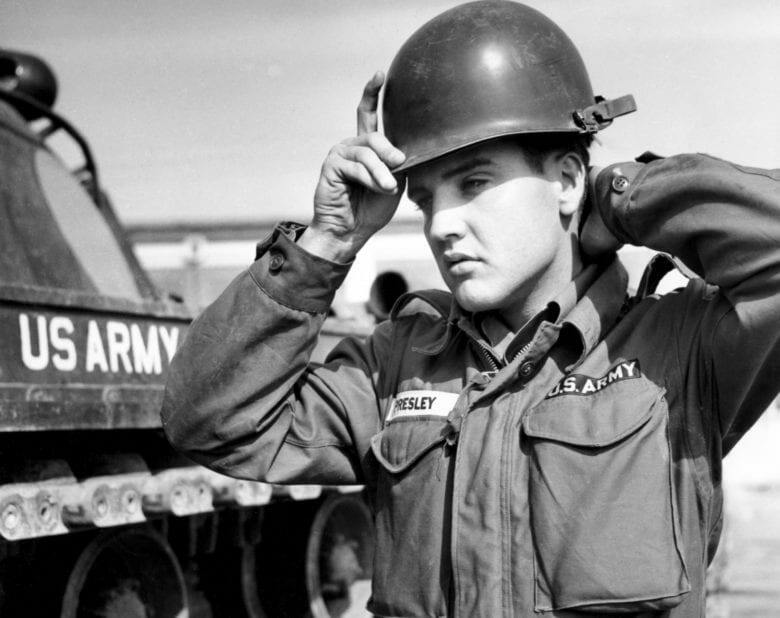 When Elvis was drafted into the army in 1958, he was already a massive star, but to combat negative press he was getting for his revolutionary rock ‘n roll music, he decided to enlist as a regular soldier. After seeing Gal Gadot in her IDF uniform, it’s no wonder she was chosen to play Wonder Woman. There may not be compulsory service in America anymore, but in Gal’s home country, just about everyone serves in the army after they finish high school. By the time Gal began her service, she had already been crowned Miss Israel. During her service, Gal worked as a combat instructor, which meant she was responsible for getting new recruits into shape for combat units. 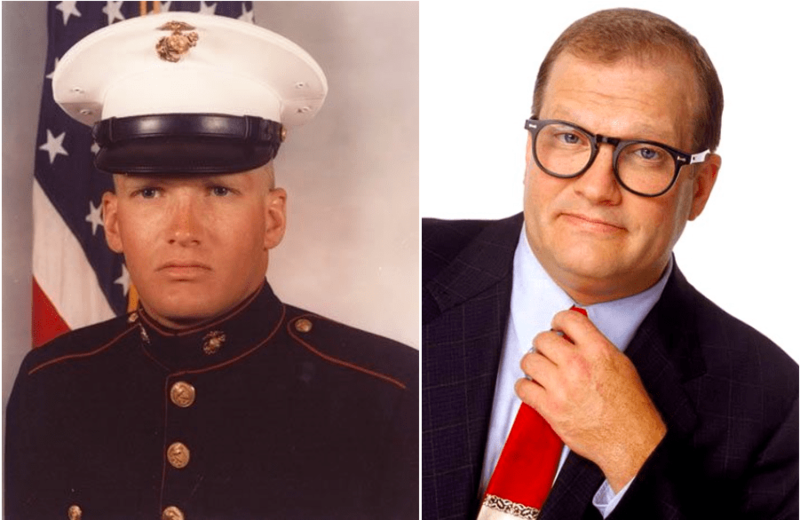 Drew Carey may be known for his comedic chops, but surprisingly, his career didn’t take off until after he’d served six years in the United States Marine Corps. Carey had a few important takeaways from his time in the Marines. Most celebrities might cite that they learned discipline from their service, but Carey also developed his signature look, the buzz cut and thick black glasses, while he was in the service. He also first began performing comedy, which would eventually make him a star. 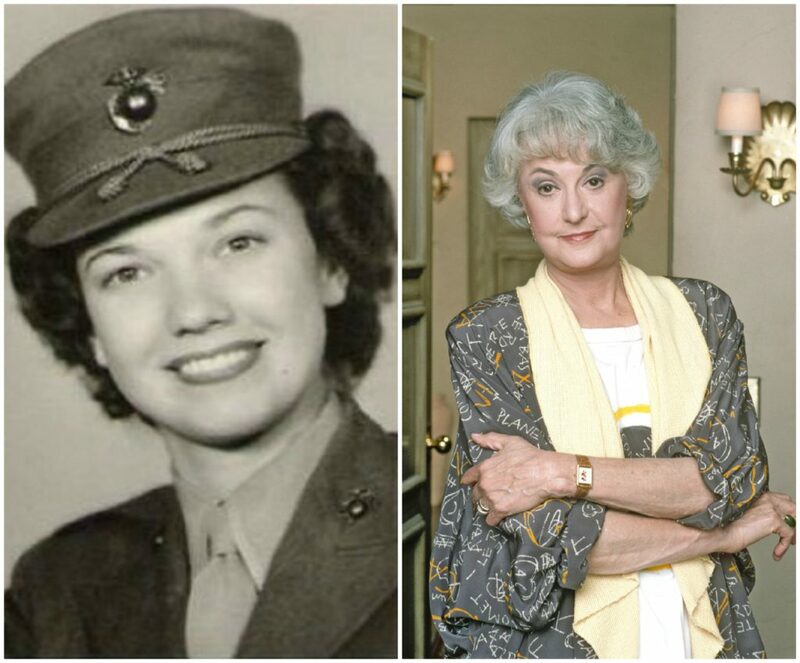 Bea Arthur may be best remembered for the role she played in Golden Girls, but long before she was a snarky matron, she was a member of the United States Marine Corps Women’s Reserves. The Corps was only opened up to women in 1943, when they realized they needed to bring women into support positions so there were more men who could fight. Arthur was one of the first women to enlist after having done plenty of volunteering as a civilian. 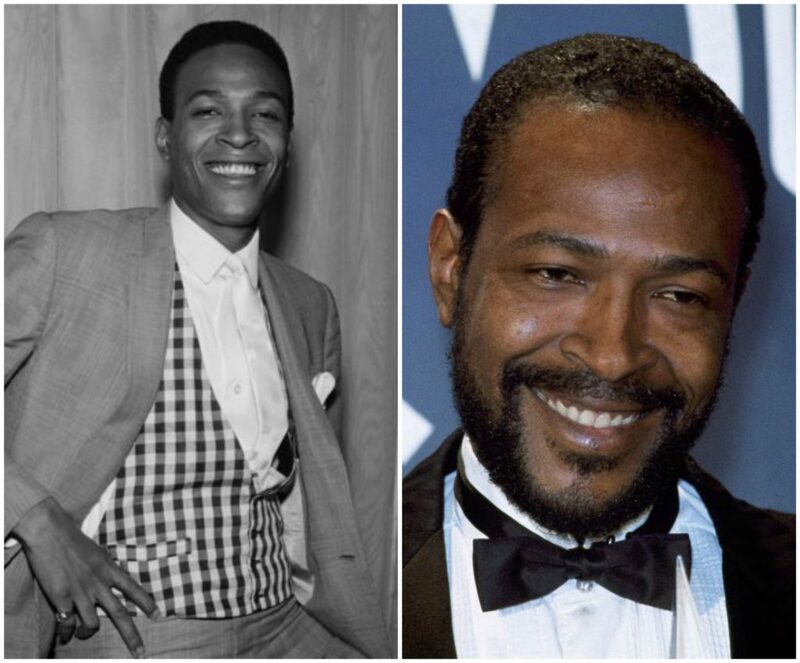 Marvin Gaye may not give off the impression of being a military man, and there’s a good reason for that. It was actually Gaye’s choice to enlist in the United States Air Force in 1956, rather than completing his final year of high school, but he quickly discovered that life in the military was definitely not for him. He claimed to be tired of doing busy work, but instead of simply quitting, he used a feigned mental illness as his reason for leaving. 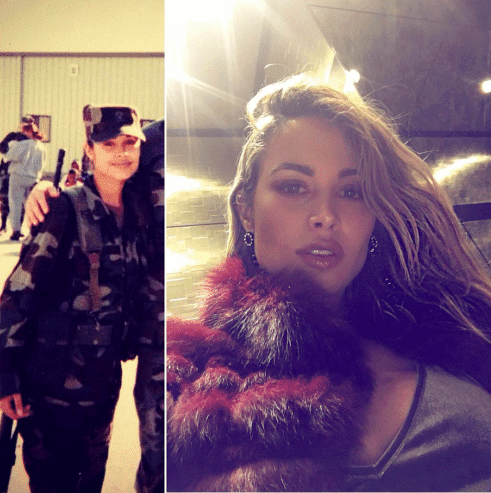 Zulay Henao may have been born in Colombia, but when she was a child, her family moved to New Jersey. After finishing high school, Zulay decided it would be a good idea to spend some time in the army before going off to pursue her dreams. She spent three years in uniform. Henao, like many others before her, said that one of the most important things she learned during her time in the military was the importance of discipline. 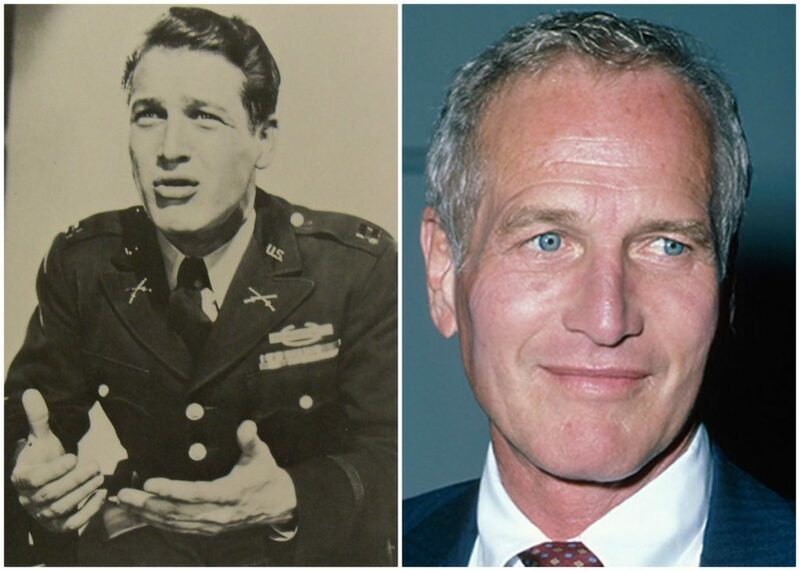 It may not come as a surprise to hear that Paul Newman once served in the military, but he certainly didn’t do so only because he was required to. Newman was ready to enlist upon graduating high school, but he discovered in the course of training to become a Navy pilot that he was colorblind. Newman ended up serving in the Pacific theater as a gunner and very narrowly avoided taking part in the bloody battle for Okinawa because the pilot he was flying with got sick. 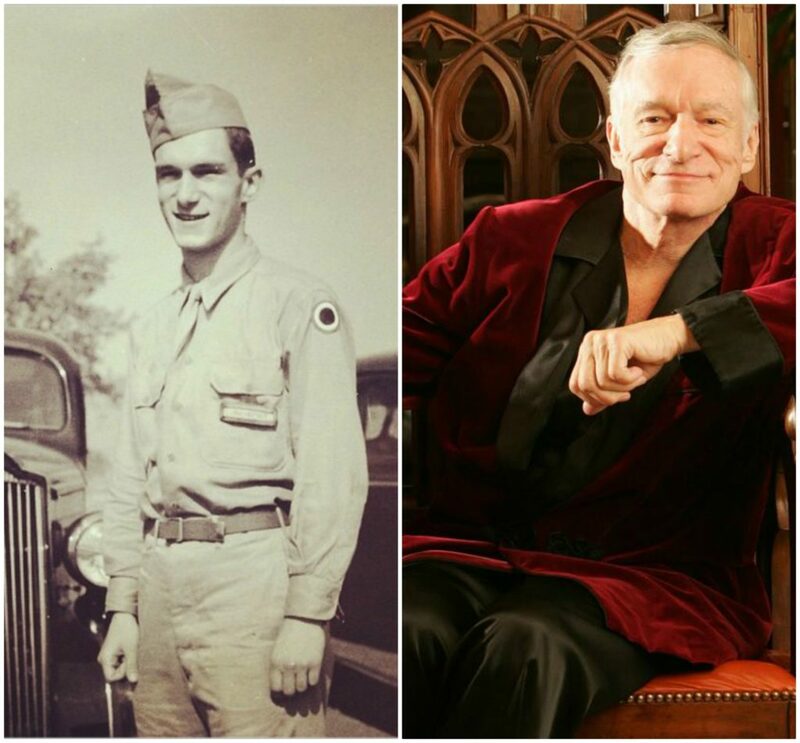 Just like the rest of the population, celebrities have a variety of reasons for why they joined the armed forces in their past lives. For Ice-T at least, he decided that he needed the money offered by the army in order to better support his young family. 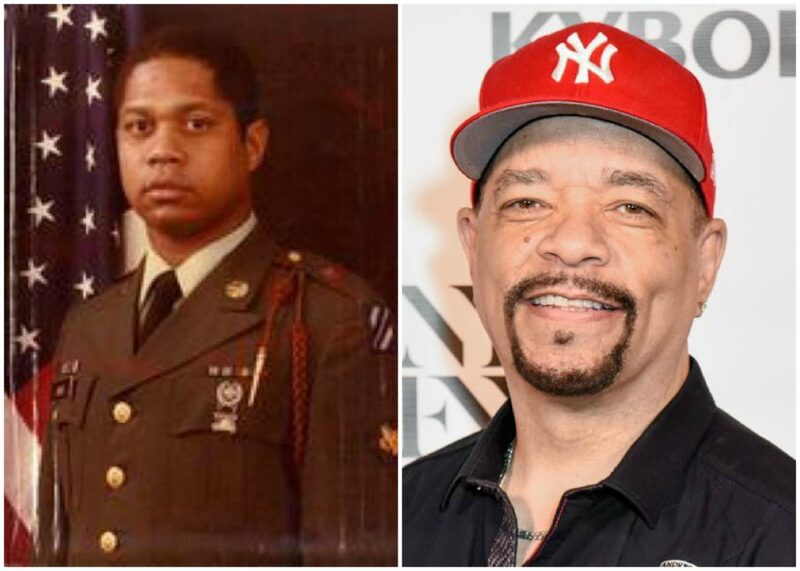 Ice-T also found that being on an army base for four years was the perfect place to start writing his first raps, and by the time he left after four years of service, he was ready to begin a career in music. In 1950, the Korean War was ramping up as young men and women who were raised in the shadow of World War II came of age. Johnny Cash was one of them. He decided to enlist in the United States Air Force, where he was eventually trained in Morse code. Cash spent the majority of his service in Germany intercepting Soviet communications. 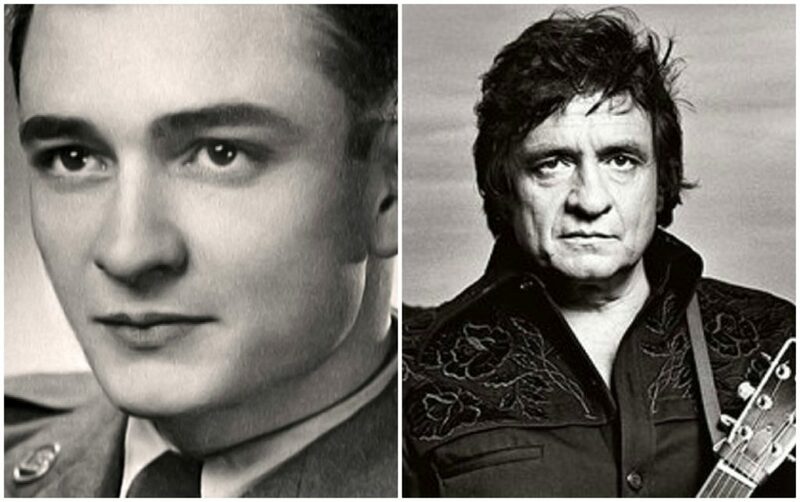 Cash was inspired to create his first band in Germany, an urge he would bring back with him when he returned to Texas. Eileen Collins may be best known for being the first female commander of a space shuttle, but her groundbreaking work began long before that. Collins had been interested in becoming either a pilot or an astronaut since she was a child. In the end, she would fulfill both dreams, as she was one of the first female pilots in the Air Force. 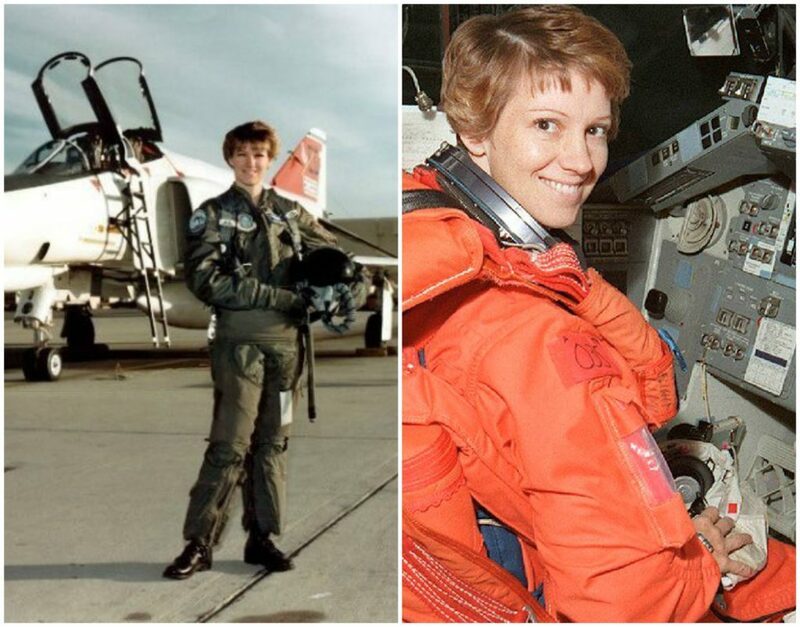 Collins would make her way towards becoming a flight instructor before being chosen to become an astronaut in 1990. Looking at the naive young boy in the army uniform, it’s hard to believe that he would grow up to become the rebellious country musician Willie Nelson. 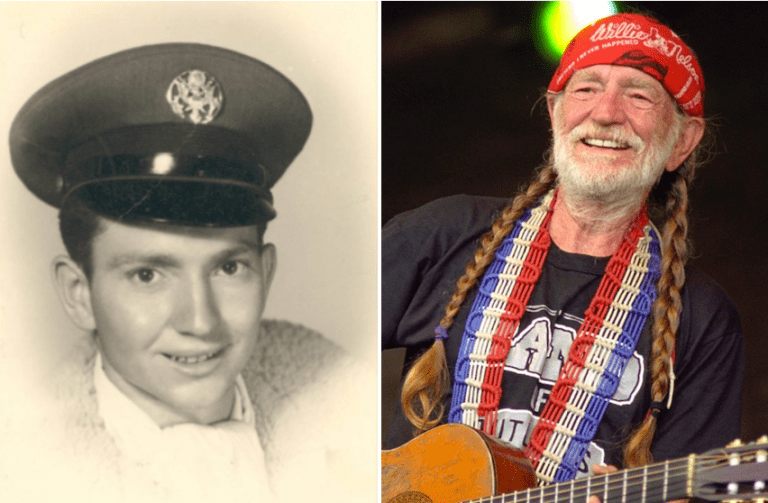 Willie is another celeb who dropped out of high school in order to join the Air Force, but rather than having an illustrious military career, he was discharged less than a year after enlisting because he was suffering from back problems. He may have been athletic in his youth, but the army was just too much for him. There’s something about Chuck Norris that oozes military charisma, and there’s a good reason why. 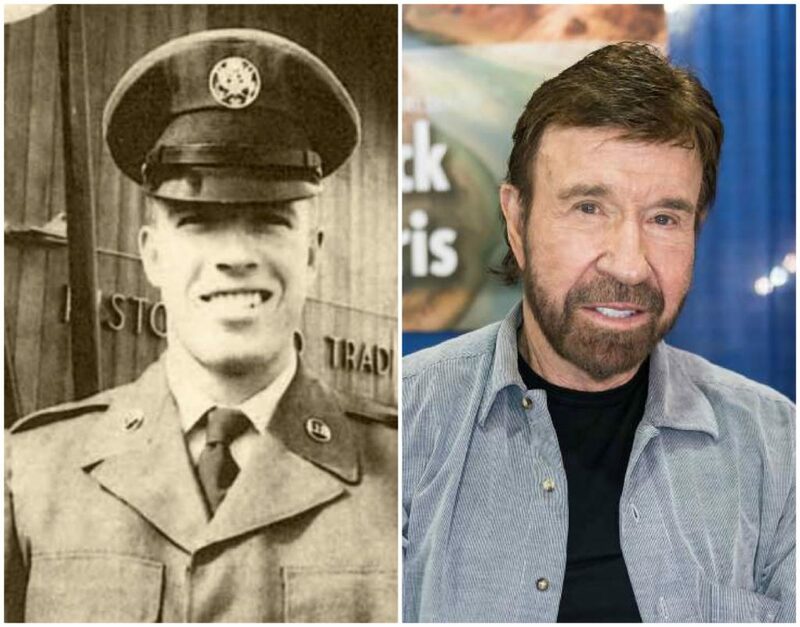 When Chuck Norris enlisted in the Air Force as an Air Policeman in 1958, he was quickly deployed to Korea, where he began training in a Korean martial art called Tang Soo Do. As he became more adept at his training, earning black belts and accolades in competitions, he would realize that martial arts were a ticket to the big time, shifting from competition to performing in films. Watching the regal Queen of England on TV today, it might be hard to believe that she also served in the military during World War II. As she was just barely 18 when she joined, it took much cajoling before her father, the King, would let her enlist. Elizabeth became a truck mechanic in the final years of the war. 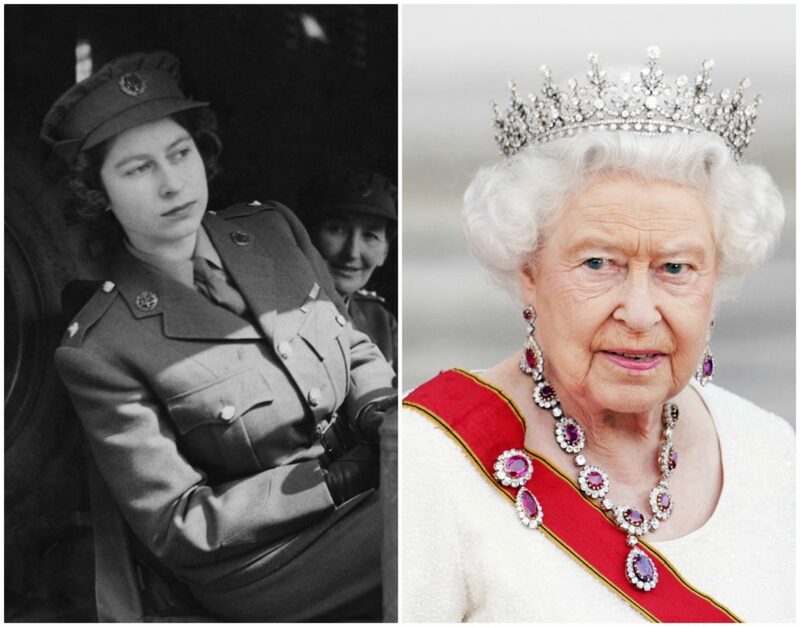 She’s the only head of state to have served in World War II, and the first Queen in the realm to have served in the military. 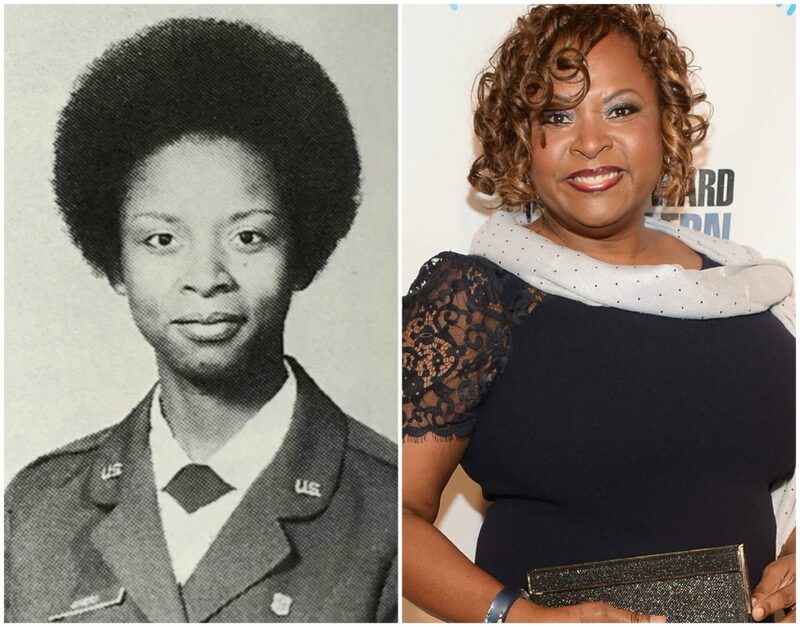 Rather than joining the military straight out of high school, Robin Quivers went straight to college and became a nurse. It was only after university and serving in a trauma unit that Quivers figured it might be useful to use her degree in the military, so she joined the United States Air Force, joining with the rank of second lieutenant. By the time she left active duty in 1978, Quivers had been promoted to the rank of captain. She remained in the reserves until 1990. 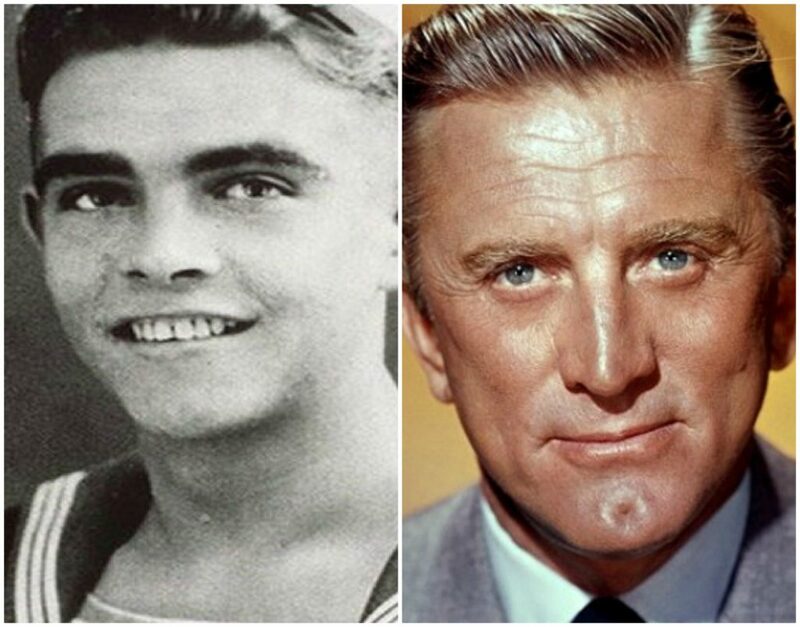 Kirk Douglas may be one of the last surviving film stars from Hollywood’s Golden Age, but he surprisingly wouldn’t have his famous name if it weren’t for the time he spent in the United States Navy. Coming from an immigrant family, Douglas decided to drop his Jewish sounding name when he enlisted in the Navy. He served as a communications officer in the unit that was responsible for anti-submarine warfare. He was discharged in 1944 after sustaining an injury. 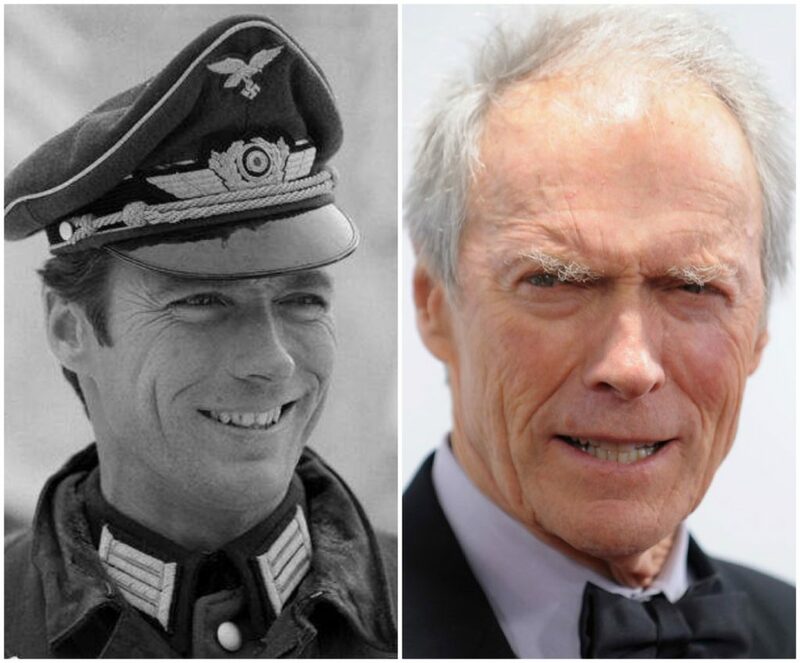 Clint Eastwood didn’t have military aspirations, but has always been open about his service during the Korean War. What he doesn’t like to talk about is that he was never deployed and spent his service working as a lifeguard on base. The most action he saw during that time was when a bomber crashed into the ocean. With help from the life raft, Eastwood and the bomber’s pilot swam two miles in order to reach safety. Steve McQueen might have been known as the ultimate cool actor during his time, but getting there was a bumpy road. 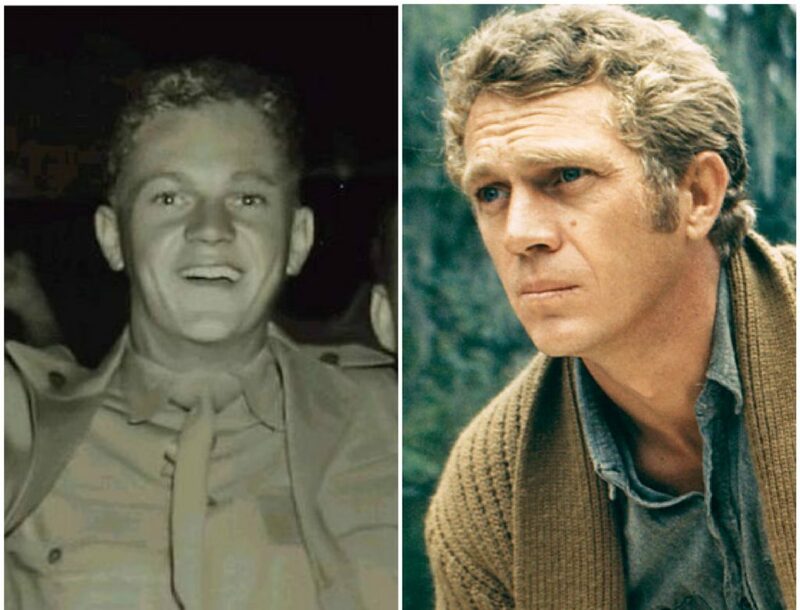 Having had a rough childhood, McQueen decided to try to break out of that unstable pattern by joining the military in 1947. Though he still found he attracted trouble while serving in the Marines, after working to reform his demeanor, McQueen would become a hero after a ship he was in overturned, dumping a number of tanks into the water. McQueen personally saved five men who’d been trapped. 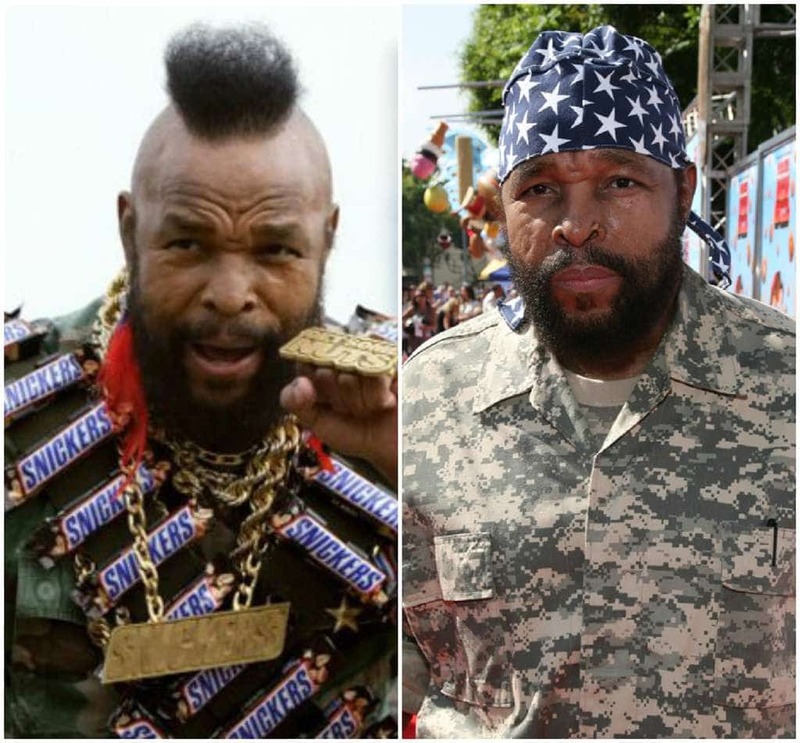 Based on his public appearances, Mr. T is one of the few celebs on this list who looks as if he never left the army, even though that’s not quite the truth. Prior to joining the army, Mr. T was attending university on a football scholarship, but dropped out when he lost the scholarship. As an alternative, he decided to join the army, where he served in the police corps. One of the most notable moments of his service came when he chopped down 70 trees as punishment. 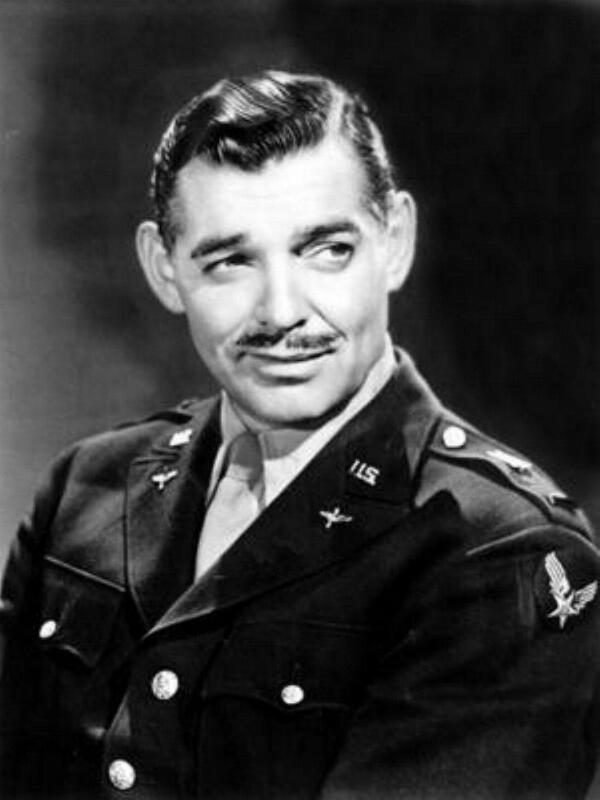 Clark Gable is an unusual case when it comes to his military service. Though World War II was well underway in Europe, the United States had only been involved for a short period of time when Gable decided to enlist. Surprisingly, he wasn’t drafted. 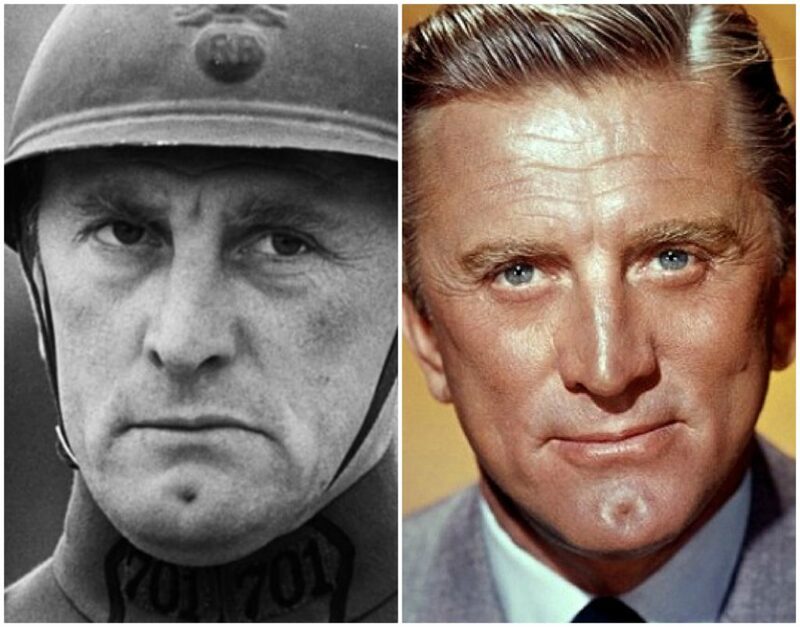 He chose to join up after the sudden death of his wife in a plane crash in 1942, despite the fact that he was a well-established actor at that time. During his service, he produced videos for the United States Air Force. 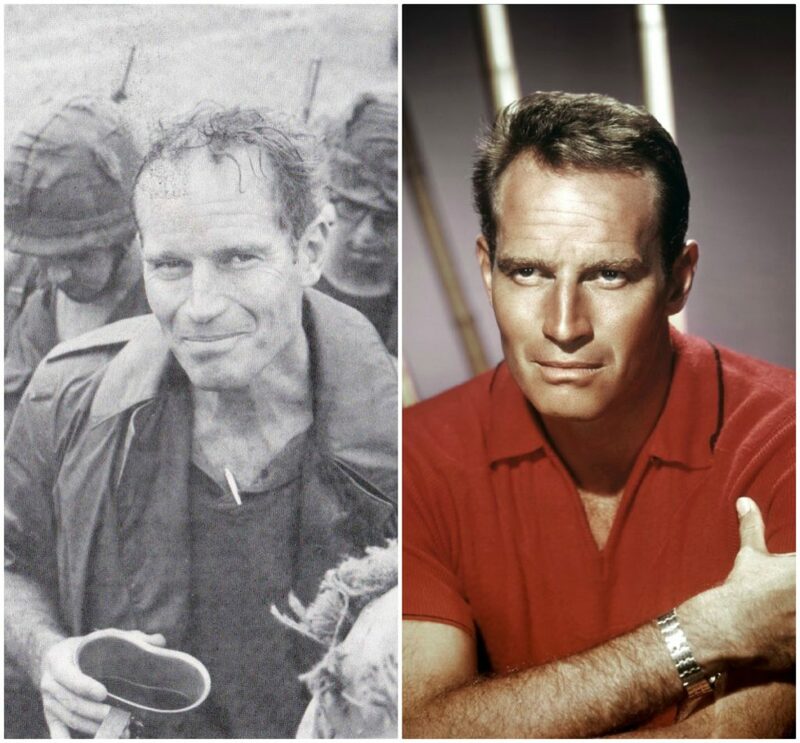 Before he became one of the most prolific actors of the 20th century, Charlton Heston served in active duty military service during World War II. His service began in 1944, the same year he married his wife, Linda Clarke. Heston was deployed to the Pacific theater during his service, but the end of the war wouldn’t mean the end of his work with the United States military. For a number of years after, Heston was the narrator of a number of classified instructional videos. 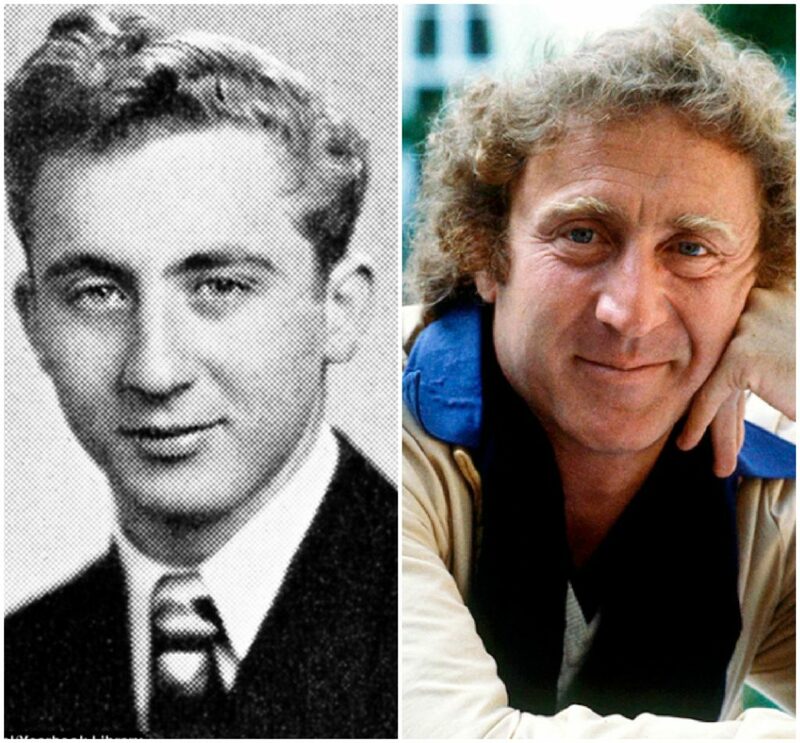 In 1956 while the Korean War was raging, a young Gene Wilder was drafted into the United States Army. Wilder was ready to go further his acting study at the time, rather than being sent overseas, so he trained as a medic, which allowed him to choose a post. He decided that being stationed at the Valley Forge Military Hospital in Pennsylvania kept him close enough to New York City, where he continued to take acting classes at the famed HB Studios. 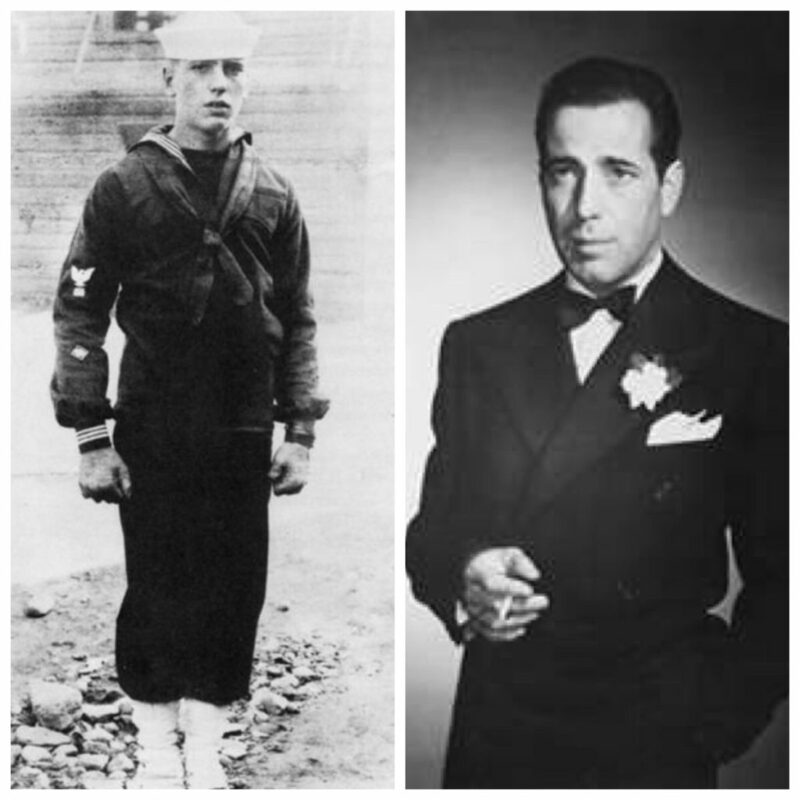 When Humphrey Bogart joined the Navy, he did so for the same reasons many other young people still do. He was unsure of what to do with his life, but he knew he enjoyed the sea. Of course, he did so in the final years of World War I, but whether or not he was actually deployed to Europe during the war is still a matter of debate. Even so, many accounts claim that Bogart’s signature lisp developed during the war because of shrapnel cutting his lip. 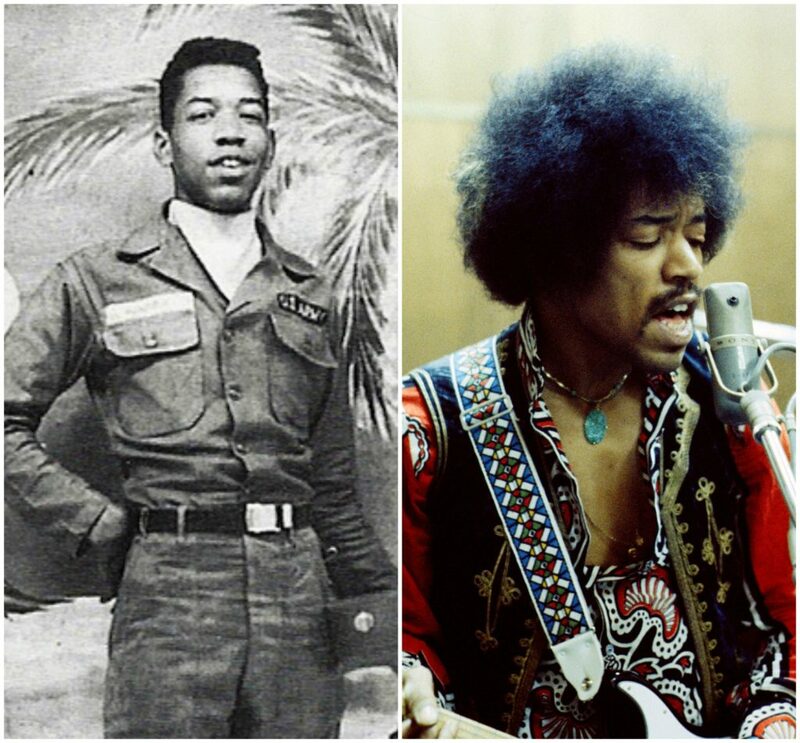 Though Jimi Hendrix very well could have been drafted if he’d waited several more years, he didn’t have much of a choice when it came to joining the army or not. Police had caught the 19-year-old musician twice driving stolen cars, so they gave him a choice – the military or prison. Hendrix chose the military. Despite Hendrix receiving accolades during his paratrooper training, shortly after, it became clear to his superiors that they would be better off if he were discharged. Hugh almost missed his shot at contributing to the war effort because he was so young, but it was his choice to enlist upon graduating from high school. He began his service as a clerk, but quickly earned himself distinction as a sharpshooter. His publishing talent would also become apparent when he drew cartoons for the army newspaper. 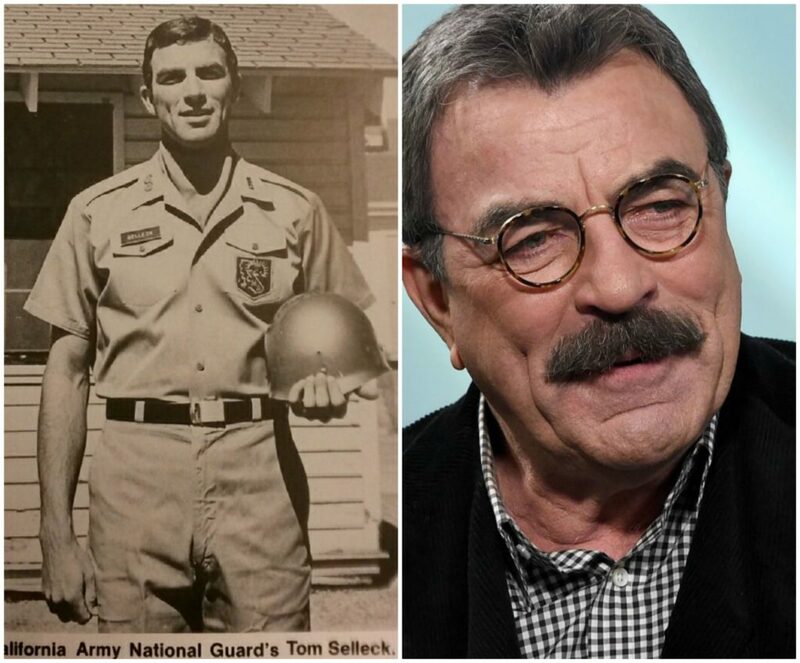 Before he sported his famous mustache, Tom Selleck was a member of the California National Guard. He decided to enlist after receiving a draft notice during the Vietnam War, which would give him more control over what he did during his service. Selleck wasn’t the first military man in the family, as his father was serving in the army during the tail end of World War II. Tom would go on to stay with the National Guard until 1973, by which time he’d earned the rank of sergeant. 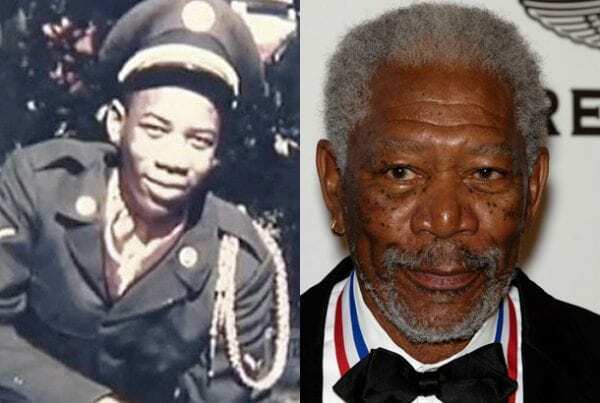 As a high school graduate, Morgan Freeman decided that he would have plenty of time to focus on acting and instead joined the United States Air Force. He’s shared that he joined the Air Force because he was always fascinated by flying, especially while watching old war films. He began his service as a radar technician, though it was his dream to become a pilot. When the chance finally arose, however, he realized that it wasn’t his true passion. Though Shaggy had begun singing and rapping before his military service, it seems he may never have made it if he didn’t have that platform to hone his skills. 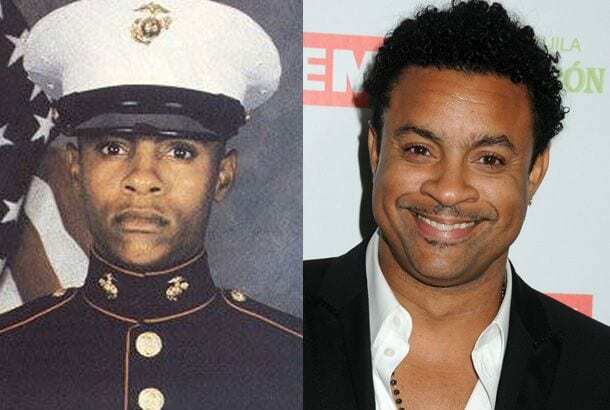 At 20 years old, the Jamaican born musician joined the United States Marines, just in time for him to be deployed to the Middle East to serve in the Gulf War. During his service, it seems that Shaggy managed to get in plenty of singing practice, likely sharing his talents for his fellow soldiers in their downtime. 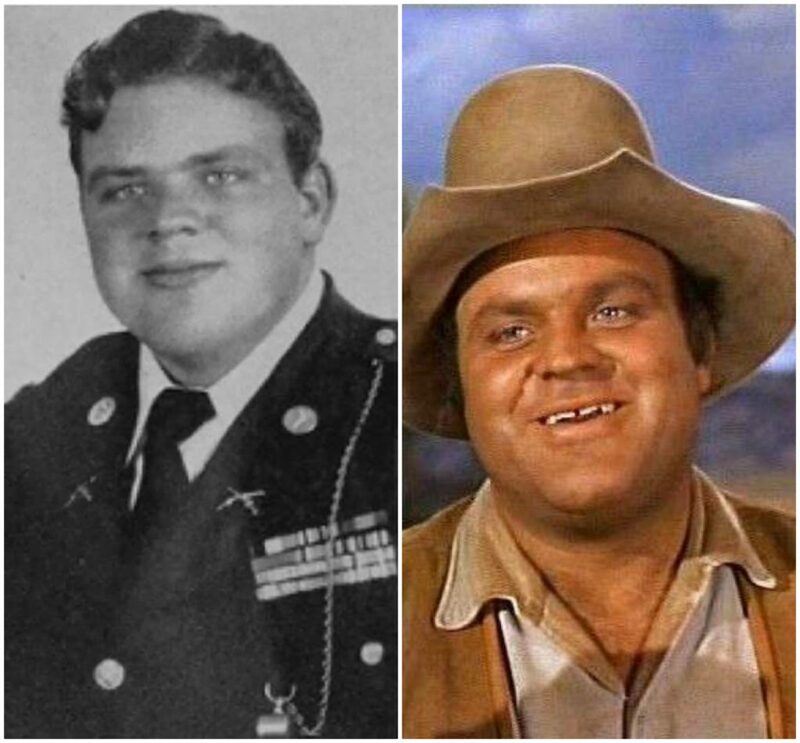 Best known for his TV role as Hoss Cartwright on Bonanza, Dan Blocker was another actor who spent his time honing his military skills before he did a complete 360 and became an actor. Blocker was drafted into the Army early on during the Korean War, which saw him serve as an infantry sergeant overseas. By the time his service was complete, he had earned a Purple Heart for being wounded in combat, along with several other awards for his contribution. 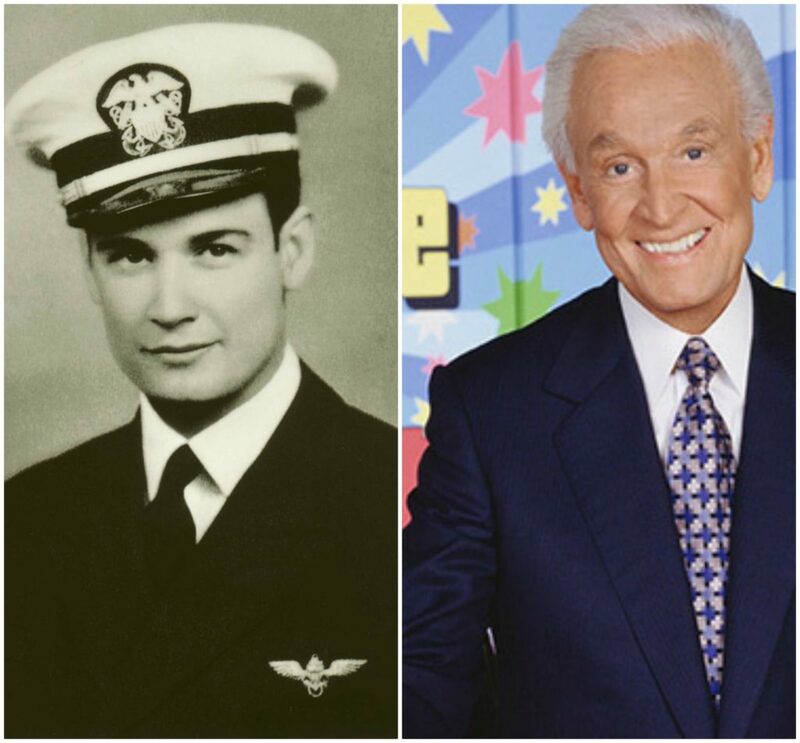 You might associate Bob Barker with being the longtime host of The Price is Right, but before he was the face of a game show, Barker was a member of the United States Navy. He enlisted after America joined World War II, choosing to follow through on a pilot’s course. Barker served as a fighter pilot throughout the war, though the war ended before he actually had a chance to be deployed on a mission that would take him to sea. 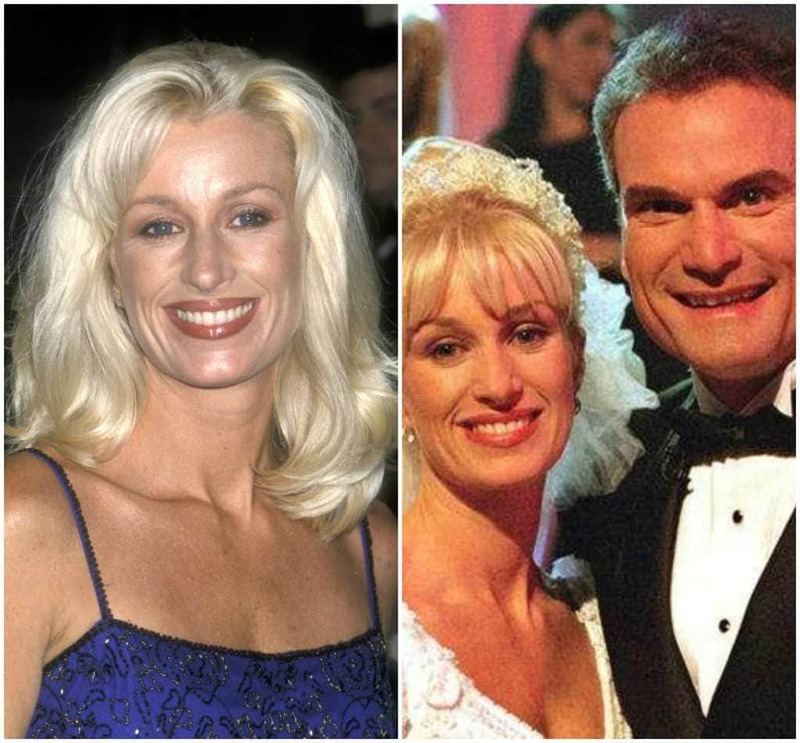 Darva Conger’s claim to fame was winning the reality show Who Wants to Marry a Multi-Millionaire, in which she didn’t even meet her prospective husband until she was chosen to marry him. Despite her unconventional rise to fame, Darva had previously served as a member of the United States Air Force. Though she claimed on the show that she had been a combat nurse during the Gulf War, the truth later came out that she had been stationed in Utah the entire time. It’s only fitting that the original James Bond had actual military training. Connery joined the Royal Navy when he was 16 years old, just after the conclusion of World War II. Before enlisting, he’d already dabbled in bodybuilding, but it was a pursuit he would pick up more seriously after he was discharged. Like many other service members, Connery decided to get tattoos while he was in the Navy. He chose one dedicated to his parents and another dedicated to his homeland, Scotland. 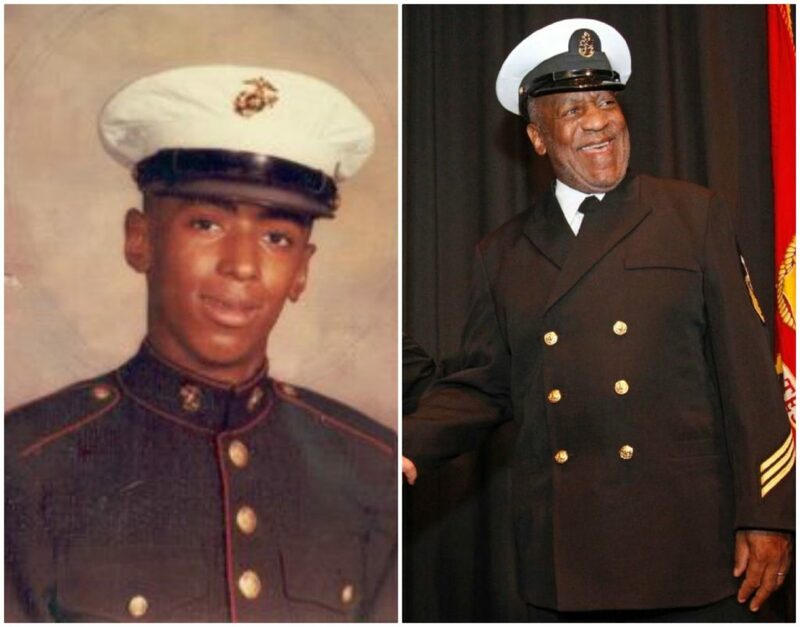 It may be hard to imagine the blustery Cliff Huxtable in the Navy, but long before he was creating family-friendly television, Bill Cosby served as a hospital corpsman towards the end of the Korean War. Given that it was only 1956, Cosby still experienced a lot of discrimination, even though he was also successfully winning track competitions within the Navy. Despite his winning streak, he often wouldn’t be allowed to eat alongside the rest of his team while traveling.